I hope everyone had a wonderful Thanksgiving and Black Friday, or if you’re not in the U.S., I hope you had a wonderful week and weekend despite hearing Americans talk about Thanksgiving and Black Friday. It’s the last Monday in November and the holiday season is here, and whether you want to immerse yourself in the holidays or avoid them altogether, reality TV is here to help: a bunch of shows return or premiere this week. First, though, if you’re doing any Cyber Monday shopping on Amazon today, consider clicking this link before you start. Whatever you buy—whether that’s all of Blue Planet II for just $9, 75 percent off, or an Instant Pot for 40% off—I get a small commission and nothing changes for you, except that you’ve helped keep reality blurred reader-supported. Thanks! Okay, to this week’s reality TV debuts. The winter reality TV debut calendar is coming Dec. 1, but here’s what’s premiering before then. 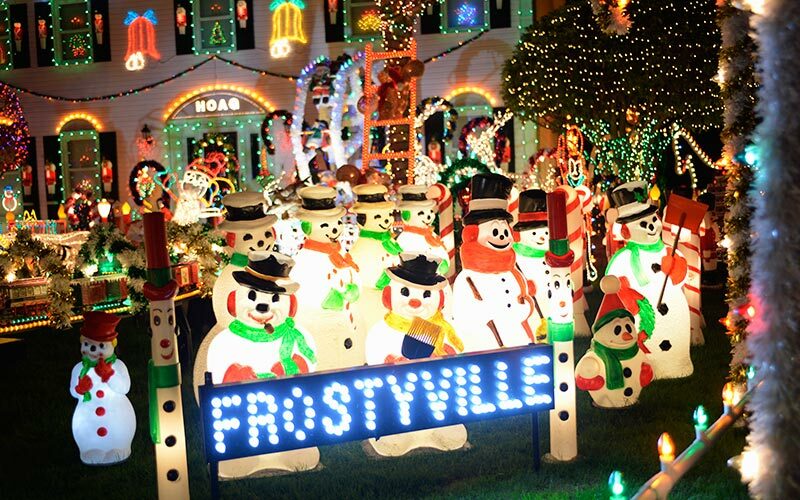 If you’re in the mood for holiday cheer, The Great Christmas Light Fight is back (ABC, Mondays at 8), with each episode giving $50,000 to one family who has an amazing light display. There’s also a seasonal version of HGTV favorite House Hunters: Home for the Holidays (Tuesdays at 9), which promises “heartwarming stories of families searching for a new place”during the holidays. Adam Ruins Everything returns (truTV, Tuesdays at 10) for another season of correcting the record, so we don’t continue to believe things that aren’t true. Also: Don’t miss my profile of Adam and the show, and how it’s demonstrating an effective way to change people’s minds. One of reality TV’s most-popular shows returns, and so do two of its stars: Joe Budden and Cyn Santana are back on Love & Hip Hop: New York (VH1, Mondays at 8). Max is gone from Catfish: The TV Show (MTV, Wednesdays at 9), so each of the eight episodes in this new season will have a new co-host. The conceit is that Nev is auditioning them to be permanent co-host. Leah Remini: Scientology and the Aftermath (A&E, Tuesdays at 9) returns for its third season of exploring how Scientology has affected people. Immediately after that, there’s a similar series: The Devil Next Door (A&E, Tuesdays at 10), on which “former members of the deeply secretive North Carolina-based Word of Faith Fellowship Church” will “open up about the shocking abuse they alleged to have endured at the hands of the Church,” according to A&E. Kentucky Ayahuasca (Viceland, Wednesdays at 10) follows a shaman “in the Bible Belt of Kentucky,” according to Viceland. Cops’ body camera footage provides the visuals on Body Cam (ID, Tuesdays at 10). The old Velocity network has rebranded as MotorTrend Network, and that’s where you’ll find the return of Graveyard Carz (Fridays at 9), which follows Mark Workman and others who restore muscle cars. Bargain Mansions (DIY, Wednesdays at 9) is back with more makeovers of mansions in Kansas City, while Man Fire Food (Cooking Channel, Wednesdays at 9) profiles people who make food with flames. For lighter fare, Chrisley Knows Best (USA, Wednesdays at 9) and Floribama Shore (MTV, Wednesdays at 9) are both back with new episodes. Inside Jokes (Amazon, Nov. 30) follows comedians who’ve been chosen to perform in the Just for Laughs Festival New Faces showcase. Death By Magic (Netflix, Nov. 30) follows magician Drummond Money-Coutts who attempts magic acts that killed other magicians. The Real Housewives of Orange County reunion started last night, and continues Dec. 2 and 9, airing Sundays at 9. Over those three episodes, Vicki Gunvalson, Tamra Judge, Kelly Dodd, Shannon Beador, Gina Kirschenheiter, and Emily Simpson to answer Andy Cohen’s insipid questions. Live: Into the Blue Hole (Discovery, Sunday, Dec. 2, at 4 p.m. ET) takes a deep dive—literally!—into a sinkhole off the coast of Belize known as The Great Blue Hole that Jacques Cousteau explored in 1971. As the title suggests, this special will be live, and follow “Richard Branson; explorer Fabien Cousteau, grandson of Jacques Cousteau; and Erika Bergman, the submersible’s pilot,” as they dive into the hole, which is more than 400 feet deep. The Truth About Killer Robots (HBO, Monday, Nov. 26, at 10) is not science fiction, but an attempt “to examine more subtle but pervasive ways that robots affect humanity,” according to HBO. Oh, it’s narrated by an android. A person who killed three—and perhaps five people—has been free for almost 40 years because investigators don’t have enough evidence to arrest that person. Cold Valley (ID, Tuesday, Nov. 29 and Dec. 6, at 9) is a two-part documentary about the “exhausting and often thankless investigative journey” that detective Jackie Nichols and Gloria Bobertz go on to try to find evidence.